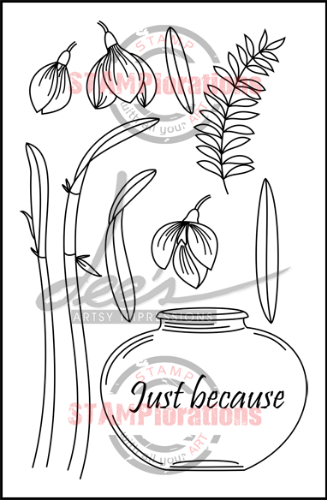 Right now you get all non-retiring products in the store 10% off automatically through April (with an extra 20% off when you use my discount code STAMPGIRLCORNELIA). 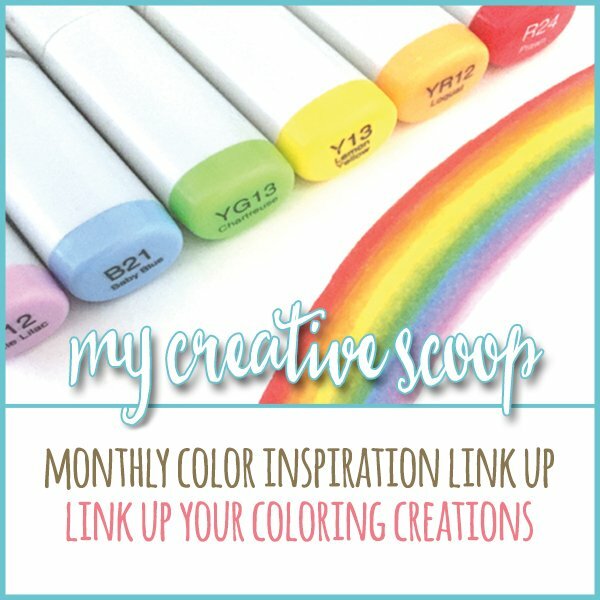 Your no-line colouring is lovely, Cornelia! A beautiful promise-of-Spring today! Just love all the green tones. Great no-line coloring. Not sure why you feel you need more practice...even enlarged the image is absolutely beautiful. The coloring is subtley shaded in all the right places. The card is perfection, itself. This is a great card !!!!! What a great design with the beautiful stamps and color combo! This is breathtaking!! I LOVE your no line watercoloring on this image. It is perfection!! Die No-Line-Technik hast du in Perfektion ausgeführt. Die Karte ist ein echter Traum, auch von der Farbwahl ganz meins. Und vor allem weckt sie Frühlingsgefühle (und das, obwohl bei uns seit dem Wochenende wieder Schnee liegt). 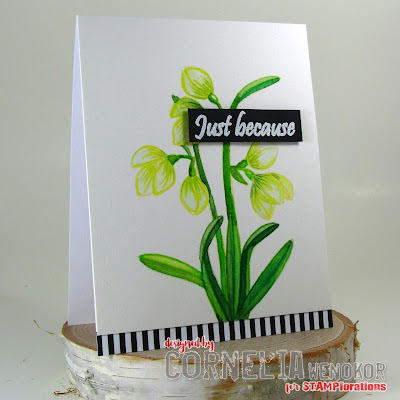 So striking and beautiful Spring blooms, many thanks for joining in with our 'Flowers' theme at Stamping Sensations challenge. Absolutely stunning! Your flowers look amazing, perfect design! Thanks for joining us at Stamp Ink Paper, hope to see you again soon! Pretty creation, thanks for joining Stamping Sensations, good luck. A lovely, elegant design! Your no-line colouring is impressive! 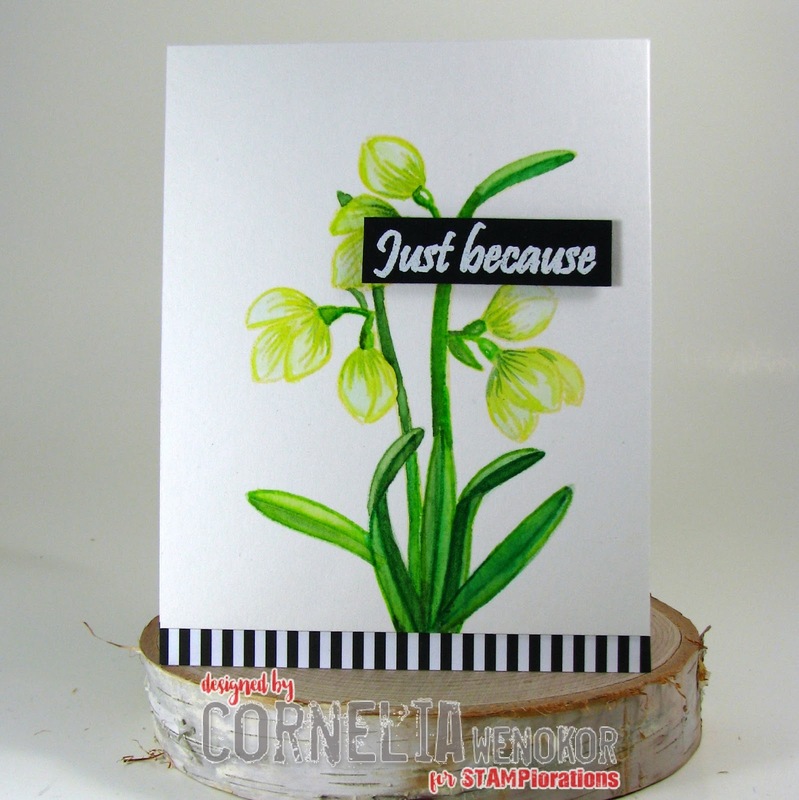 Thank you for sharing it with us for our floral challenge at Stamping Sensations. Wow! Your no line watercoloring is absolutely gorgeous! Thanks for sharing with us and joining in for our challenge this week at Stamp, Ink, Paper! What great spring colors. Love it.